Description: CBS, 1968. Vinyl LP. 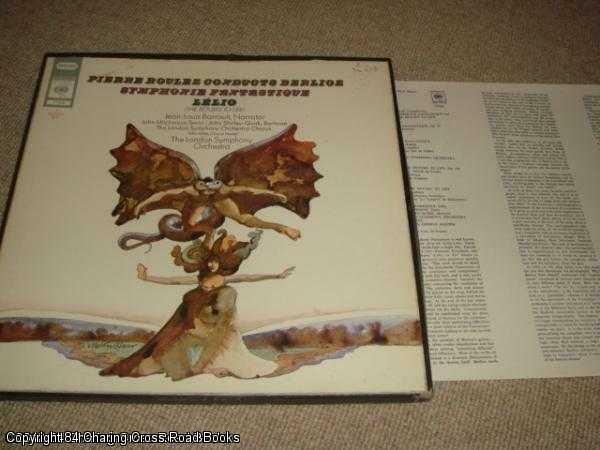 Good+/VG 1968 double LP gatefold set, with insert leaflet, superb Stereo recordings by the LSO and Boulez. Disc 1 Symphonie Fantastique has replacement inner bag and some surface dustiness to disc. Disc 2 Lelio featuring Jean-Louis Barrault and John Shirley-Quirk is unplayed, lovely clean condition. Some wear to edges of outer box with tape repair to top rear, else VG condition vinyl. Immediate dispatch worldwide Quantity Available: 1. Shipped Weight: Under 1 kilogram. Pictures of this item not already displayed here available upon request.